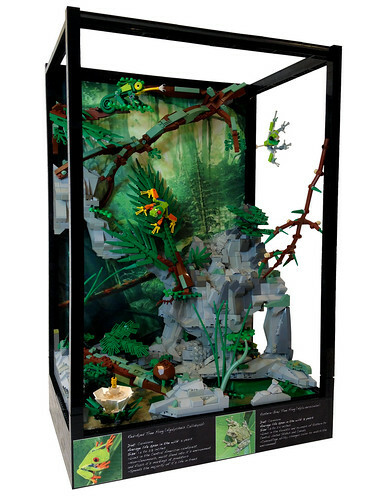 If you're a fan of reptiles and LEGO, have I got a MOC for you. Yes, it's yet another build from Iron Builder, but it's awe inspiring. Siercon and Coral have constructed a terrarium with a working waterfall and numerous inhabitants. And no, there's no glass in there, that frog is suspended by a trans rod. Oh, and the background, it's from a Chima poster, wow. Check out the video for more details.